"Thank you so much Dr. Keys and Denver Sports Recovery!" "Staff is both friendly and knowledgeable and are really committed to healing injuries." "Amazing facility and knowledgeable staff!" "All of the staff here is extremely attentive, friendly, and knowledgeable. " "Great place for treating injuries and just staying healthy and treating your body well." "I am very grateful for all of the help that DSR has given me over the years." Denver Sports Recovery makes the high-quality sports recovery services that professional athletes depend upon available to people of all ages and fitness levels living in the Denver, Colorado, area. The multidisciplinary team of providers at Denver Sports Recovery uses an integrated care approach to relieve pain and restore function so that anyone can experience injury recovery and improved physical performance. The team of specialists creates customized treatment plans that meet the needs of the individual, across a range of therapeutic practices. Patients benefit from a combination of services, including chiropractic care, sports massage, whole-body cryotherapy, class IV deep-tissue laser therapy, Active Release Technique®, acupuncture, yoga, and a range of other modalities. Denver Sports Recovery is a state-of-the-art rehabilitation center that offers the most cutting-edge equipment designed to help patients attain optimal recovery. The clinic is equipped with cold and hot tubs, an infrared sauna, and a variety of advanced therapeutic tools, including ultrasound, light, and laser technology. Denver Sports Recovery strives to provide excellent care in a welcoming environment. Memberships and walk-in hours make the process of recovery affordable and convenient. 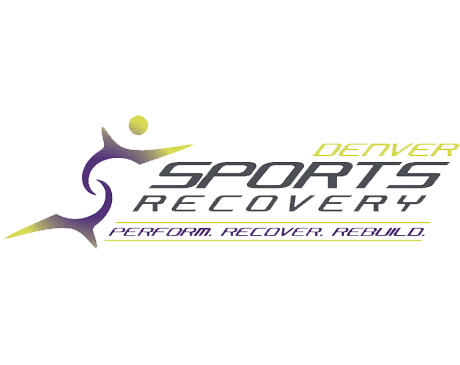 To learn more about treatment options and membership packages, call Denver Sports Recovery, or schedule a consultation online today. Book Your Recovery Center Pass Now...Your First Time is Free! Most major insurance companies accepted for Chiropractic services. Click on "View full list of companies" to see a list of commonly accepted insurances. For additional insurance plan inquiries, please contact your insurance provider. "This place is great for recovery and preventative activities, and a great place to go and do physio-type exercises with state-of-the-art equipment. Love this place." "My buddy and I did a walk-in for cryotherapy and had an excellent experience! Great customer service and they offer a very holistic approach to recovery!" "I am so happy to have finally made it in to check out DSR! It is an awesome facility with a lot of great treatment options."